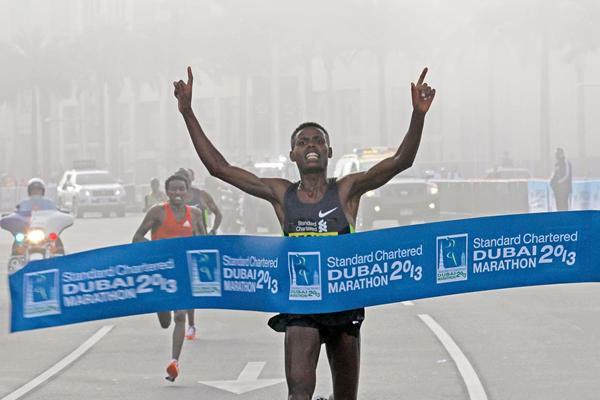 Last year’s Dubai Marathon set a cracking pace for the elite marathon year, with eight of the 20 fastest times of 2012 recorded in the UAE race. It caught people a little offguard and there were all indications that 2013 was going to serve up a spectacular encore. It stil very well may, however some of that shine has rubbed off with neither the men’s or women’s champions returning to defend their titles compounded by the news late this week that two of the big names for the race have pulled out. 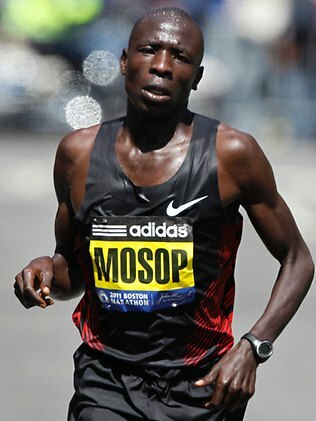 The second fastest man ever over the marathon distance, Kenya’s Moses Mosop who recorded 2:03:06 at Boston in 2011, was down to attend and attempt to win a race that has alluded him in previous attempts. 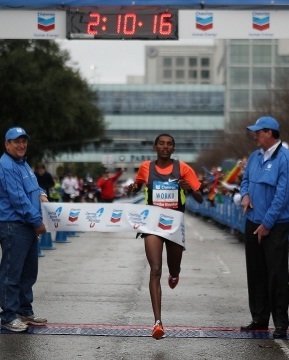 However he joins fellow Kenyan and three time Virgin London Marathon and two time ING New York City Marathon winner, Martin Lel, and the defending men’s champion, Ethiopia’s Ayele Abshero, stuck on the sidelines due to injuries. That said, the lack of known names does not preclude the chance of further fast times – entering last year’s race very little was known of the top finishers, including Abshero who was debuting over the distance. 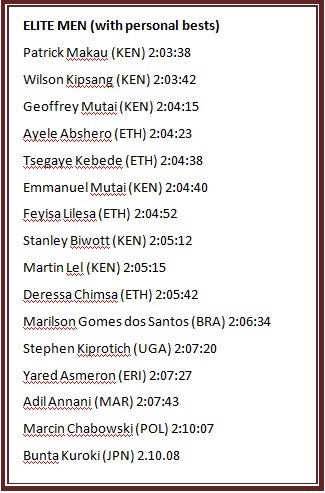 Ethiopians Yemane Tsegay and David Yami will be trying to maintain their country’s dominant streak, both having raced last year and recorded sub 2:06:30. 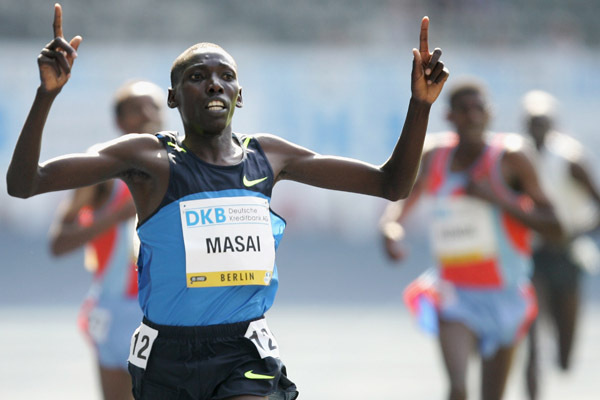 It will be difficult to pick a winner but others to keep an eye on will be debutant Kenyan Olympian Moses Masai, who ran twelfth in the London Olympics 10,000m race, and fellow Kenyan, 2011 Dubai winner, David Barmasai. The race will be streamed live online with the winner taking $200,000 in prizemoney. 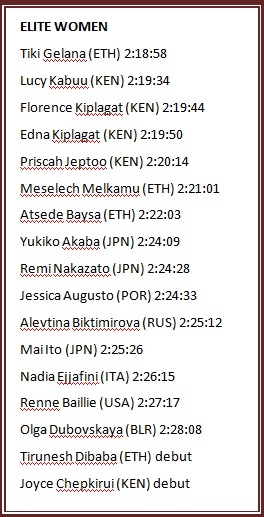 On the women’s side it again appears to be an open race with most talk surrounding 2:21:19 marathoner, Tirfi Tsegaye and another debutant in 67:58 half-marathoner Wude Ayalew. While it will be an open race that can often make for the most interesting – and if past performance indicates anything the course will do it’s part to make for a fast time. In an attempt to increase my speed, break up monotony and get a bit more racing in than marathons allow I made the aim this year to try and go sub-20:00 for 5km. Training so far has been going great with a much more focused schedule including much more intense speed work which has been fun in itself. The first test came for me two weekends ago when I made the decision to get a baseline and race a 5km. Despite been a runner for more than 10 years I had never really raced a 5km race, I’d done a few 4km races when I started out and a number of 10km races but largely my racing was over the longer distances. So it was I nervously decided to register to run my first ever parkrun race – and as an event I can give it a glowing endorsement. Formed in the UK in 2004, Parkrun is a great initiative designed to get more people into running. 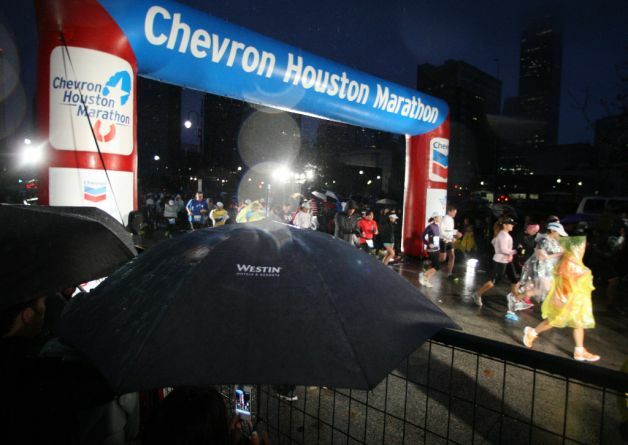 They are weekly 5km races, free of charge, run by volunteers and with costs covered by sponsors now held at 155 locations around the world and run regularly by more than 12,000 runners. 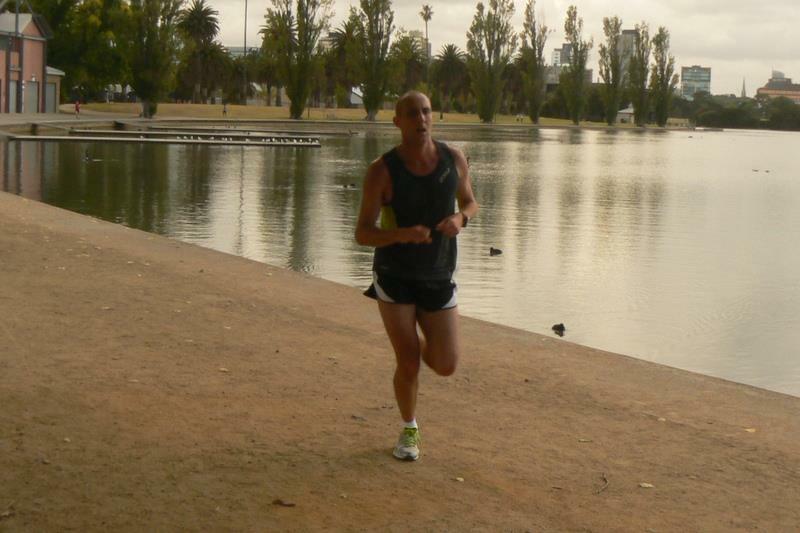 I attended Albert Parkrun in Melbourne and despite having never attended before was met by a friendly group of organisers and fellow runners. There was just over 150 runners in attendance and after a short warm up and event briefing, we got underway at 8am. My Garmin battery had gone flat so I raced naked which I am sure meant that I went out way too hard, but also meant that I was limited by my perceptions. I raced pretty hard and had to hang on at the end but managed to cross the line in 21:47 – a time that I was delighted with given I had no real expectations or awareness of my current fitness levels. Parkrun record times using a barcode system where you must pre-register and receive a barcode and then when you cross the finish line you receive a second barcode that is linked to your time. Both your registration barcode and finish time barcode are scanned and then results are upload to the website within a few hours. I’ll now race this course a few more times over the coming months on my plan to go sub-20:00, but irrespective of whether I hit that target or not I’m glad I discovered parkrun and will be making sure I stay a regular in the community. The more I race the faster I will get and hopefully that added speed will come in handy when I do my next marathon. 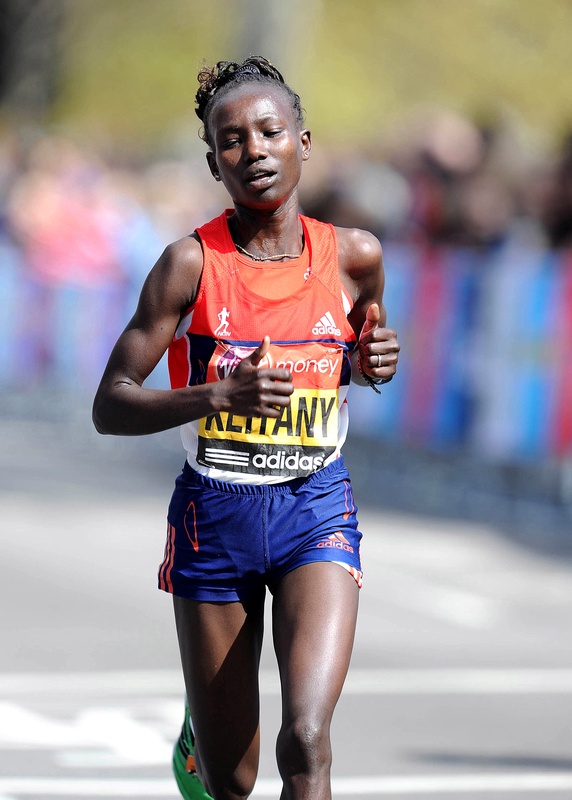 Current women’s World Marathon Major champion, Mary Keitany, turns 31 today (18 January). Keitany rose to prominence initially on the half-marathon stage, winning the Sevilla Half in 2006 as her maiden win, and then taking a suite of victories over the following years. She won three half-marathon titles in 2007 and narrowly missed the World Half-Marathon Championship title in that year. After not racing in 2008 due to pregnancy and childbirth, she bounced back to win the elusive World Half-Marathon World Champion title in 2009 in Birmingham and also won two further half-marathon’s before stepping up in distance for third place in the 2010 New York Marathon on debut. 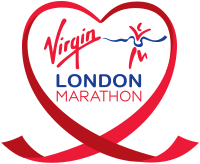 2011 saw her storm on to the marathon world stage, preparing by setting the half-marathon world record of 1:05:50 in the Ras Al Khaimah Half Marathon before taking the first of her two Virgin London Marathon titles. She followed up with a further third place in the 2011 New York Marathon. 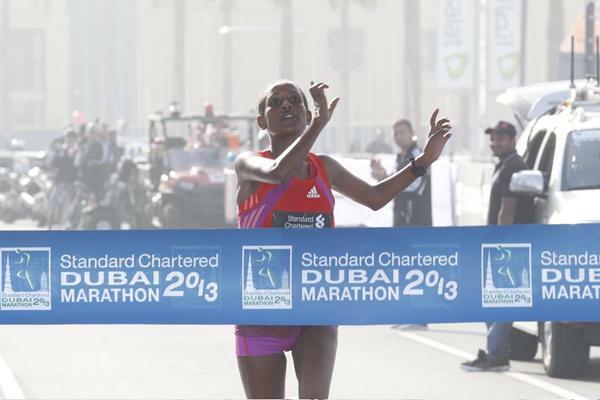 Last year saw her again win the Virgin London Marathon in the fastest female marathon time of the year (2:18:37) and entered the 2012 London Olympics as an overwhelming favourite, but faded late and had to settle for fourth, 49 seconds behind Ethiopia’s Tiki Gelana. 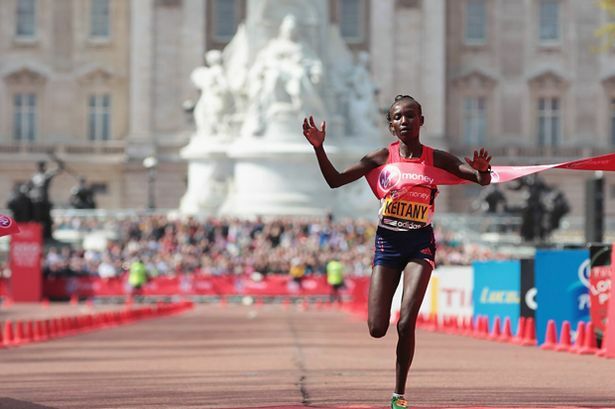 Keitany trains at the adidas camp in Iten and will likely remain a force in 2012, London likely to again be on her schedule, as long as it works in around the IAAF World Championships in Moscow in August. It might seem strange to review what is largely a book about cycling by a cyclist on a marathon running website. However Tyler Hamilton’s The Secret Race is much more than a book just about cycling – it is a book about EPO, steroids and blood doping in professional sport and how athletes outsmart the testers. While there have been very few cases of marathon runners testing positive for drugs, it would be naive to think that the sport is entirely pure. A read of The Secret Race details how Hamilton, and his more famous teammate Lance Armstrong, beat the system and used the best doctors to ensure their doping techniques remained undetectable. From the cloak and dagger of secret phones through to modifying the choice, dose and administration method of drugs, Hamilton shows how largely the entire peloton was using some sort of illegal boost to improve their performance. 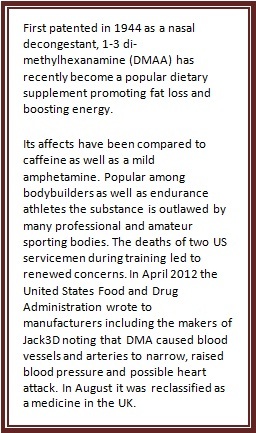 Athletes knew their red blood counts and hematacrit levels better than you or I probably know our weight, they owned their own centrifuges to do blood tests and banked their own enhanced blood to be transfused back into their veins in the midst of a Grand Tour race. The book is refreshing in the openness that it describes how the process occurred and the attitude of the athletes involved. It also reveals the naivety or purposeful ignorance of the professional body to address the issue of doping within the sport. 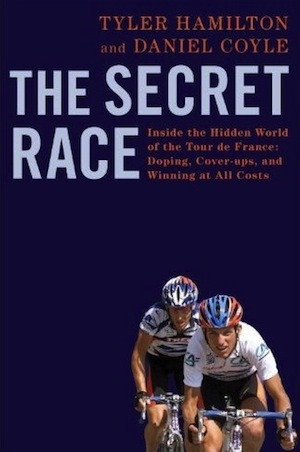 The IAAF undoubtedly has a better reputation on the matter of drugs than UCI, however for anyone interested in the life of a professional athlete I can highly recommend The Secret Race.